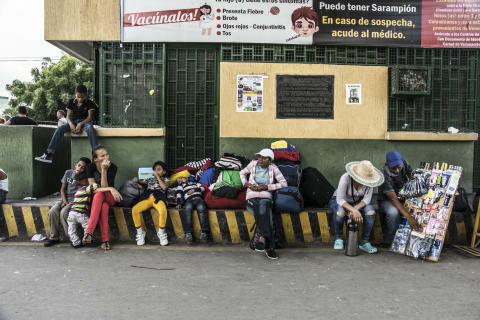 Venezuelan migrants arrive in the northeastern Colombian border city of Cúcuta. 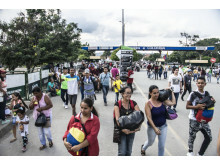 London, February 8, 2019: The flow of Venezuelans at the northeastern Colombian border city of Cúcuta is constant. 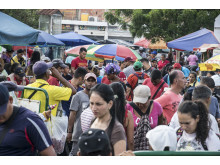 “People come to buy food, medicines, hygiene items and basic goods, or to sell jewelry and other small technological goods - many women are even selling their hair,” says Luis Fernando Ramírez, project coordinator for Action Against Hunger in the department of Norte de Santander. Although many people return in the day, the permanent arrival of an estimated 90,000 people every month puts a constant pressure on the area. There are currently more than one million Venezuelans are in Colombia." We are also talking about an area where armed groups continue to operate, so it is a doubly affected area," Ramirez adds. "Many people enter the country through the city of Cúcuta in order to reach Rumichaca and then their final destination of Peru.,” explains Ramírez. “Walking this route is 32 days on the road. At first we detected that there were about 20-30 people per day. Now there are around 200 or 300 people daily. The number of children making this route has increased, as well as vulnerable pregnant women, the elderly, and people with disabilities. The migrants also face the risk of trafficking and hunger along the way. During 2018 alone, Action Against Hunger treated 189 cases of children under five suffering from severe acute malnutrition in the area. 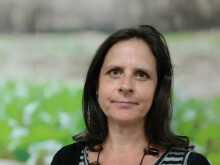 "In addition to the problems of malnutrition and anaemia, there is a desperate need for basic sanitation and hygiene facilities, as well as cash with which to rent a room or buy food,” explains Benedetta Lettera, regional manager for Action Against Hunger in Latin America. “Our teams, present in Colombia since 1998, are redoubling their efforts to address the crisis in the departments of Guajira and north of Santander, as well as in Peru, and we finalising a humanitarian response to support migrants in other places such as Nariño and Bogotá,” he adds.